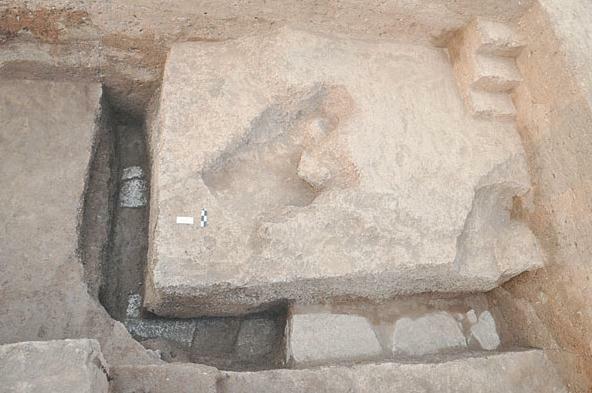 The ancient capital of Qi Kingdom, the famous city of Linzi from Zhou down to Han dynasties, was found at the central region of modern Linzi District, Linzi city in Shandong province. The city-site is composed of the great city at the west of the Zi River, and the small city in the southwest of the great city, which is the Qi’s palace during the Warring States period. The palace No.10 ruin lies in the northwest of the small city, about 300 m west of the east wall and 200 m south of the north wall of the small city. To its southwest not far away is the known Huangongtai palace complex. 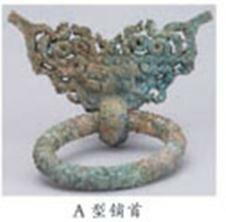 From April to July 2012, incorporating with the conservation and exhibition project of the city-site of Qi Kingdom, with the assistance from the local cultural relics departments, Shandong Provincial Institute of Archaeology and Cultural Relics has conducted an excavation to the site. The excavation covers an area of 2,000 sqm, and focuses on the rammed earthen platform from the Warring State period at the central of the site. At the meantime archaeologists uncover a repaired rammed earth from the Warring States period down to Han Dynasty, 3 wells and 2 tombs from Han Dynasty, and 7 tombs from Song Dynasty. The rammed earth from the Warring States period consists of the central platform and the surrounding ground. The two parts are both built on the original earth. The base is built with logs separated with wooden planks. The drilling indicates the surrounding rammed ground, 1.9-24 m under the surface, is roughly in square shape with each side measuring ca. 130 m long and 1 m in thickness. Its each layer is about 6-20 cm thick. The central rammed platform has a complicate form, shaped as rectangular with the south part projecting, the north part concaving, and the east and west parts extending outside. The layout is roughly symmetry along an axis. All side lines of the platform are straight and all projecting and concaving parts are perpendicular to the main part. The main part measures 64 m long and 80 m wide, and the whole structure including the east and west extending parts measures 118 m wide. The platform remains 3.04 m high. The external surface is in good state of preservation and shows clearly the standing pillars and horizontal planks traces. The section of pillars trace are square or round, measuring 22-30 cm wide and 30-40 cm in diameter respectively, and the intervals between them measure 90-103 cm in distance. Traces of horizontal planks measure 24-32 cm wide. Originally the pillars and planks were used to reinforce the rammed earthen platform, and had the decorative effect as well. The rammed earth from the Warring States to Han Dynasty periods are seen in the north concaved sphere of the platform, indicating the platform were repaired for reuse. It features large ramming pits and poor quality. The west part is overlapped by a well from Western Han Dynasty. Under the repaired part there is a thick layer of burnt earth mixing with a great deal of tile pieces, burnt wall fragments, carbonized woods and fused bronze objects. Beneath this deposit a large painted wooden door is found in good state of preservation, which is about 278 cm high and 155 cm wide. The paintings include two parts. The frame painting is a couple of opposite red scrolls against white ground, and the sheet is painted with black and red patterns. The burnt earth slants from the platform edge to below, suggesting it probably was building wreckage falling from the platform. The wooden door was originally used on the palace. Near the edge of the central platform nine artificial trenches are found, which could be remains from woods robbing after the building was abandoned. Under most pillar traces there remains a stone or wood base. 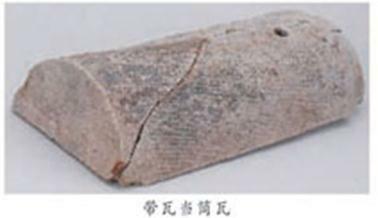 A great many artifacts are found around the platform and in the trenches, which are mainly ceramic building materials, including plate and semi-cylindrical tiles and tile ends. The largest plate tile is 80 cm long and 36 cm wide. The semi-cylindrical tiles are generally 44 cm long and 16 cm wide. All tiles are decorated with cord pattern on the back side. The tile ends surrounding the platform are all semicircular shape and without any decoration. Their front faces are 15.6-17.2 cm wide. Bronze objects include beast heads holding rings in mouth and horse gears. As many as 40 beast heads holding rings in mouth are found. Moreover, there are many single rings. Only few of these objects are in good state of preservation and bear clear patterns. Their front sides are shaped as a beast face composed of complex interlaced hydra designs. The horse gears are in cylinder and L- shapes decorated with openwork designs on the front side. The other side has no decoration, but a rectangular hole. In the silt deposit surrounding the platform there are many ceramic jars with cord design and a round bottom. 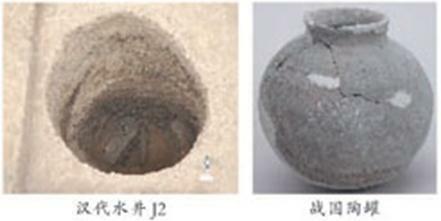 Three wells from Han Dynasty are uncovered, two of which have ceramic fence measuring 100 cm and 112 cm in diameter respectively. The well No.2, 5.8 m deep, yields a great deal of bricks, tiles and ceramic well fence fragments. In addition, an earthen pit tomb and an urn burial from Han dynasty, 4 brick chamber tombs and 3 pit tombs from Song Dynasty are found. These tombs are in smaller sizes. Some of them have no burial objects and some have only a pottery jar and some coins.